Even here in the Finger Lakes area, I receive calls and emails from potential clients that only want me to look for REO’s ( real estate owned by the lender through foreclosure) for them. I do not have a problem with that, because why not. If an investor is willing to roll up their sleeves and put some physical equity into a home, in a good market, they can make a decent return on their investment. The problem is when buyers that would normally look around for a home their fits their needs decides they only want to look for foreclosures. Yes, there has been an increase in foreclosures in our area, but not to the extent that the MLS (multiple listing service) is full of them. The other issue is that the foreclosures that are on the market are not suitable or desirable to the average home buyer. These homes are usually in the lower end of the market and in bad areas, definitely not your typical three bedroom 2 bath home. 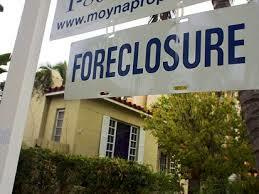 There are also different ways to buy a foreclosed home. You can buy them at auction on the courthouse stairs – but I warn you against that unless you have a good title search attorney or you are knowledgeable yourself to research the property. 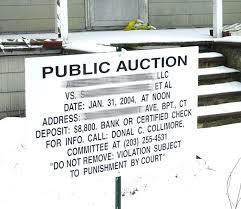 When you buy a house on the courthouse steps you get the title and also any liens that may be attached to it. You can work with a Realtor to find REO’s – these homes have been taken back by the lender and the titles have been cleared. The lender will try to get the market value on the home, but depending how long it is listed, you will increase your negotiating power. There are other areas of the country where foreclosures do dominate the market, but fortunately not in the Finger Lakes area. There are still many people with good paying jobs looking for decent homes and able to obtain conventional mortgages. So if you really want to look for foreclosures, be prepared for what most of them are and work with a Realtor that is familiar with REO’s. Patience in finding a place and being financially prepared to place an offer are also key components. This entry was posted on Sunday, April 13th, 2008 at 5:21 pm	and is filed under Community, Real Estate News. You can follow any responses to this entry through the RSS 2.0 feed. You can leave a response, or trackback from your own site.